Are you wondering if you’re doing the right marketing and getting the right results? In the last few years, marketing has changed dramatically, primarily due to the disruptive innovation caused by the internet. This change was also fueled by the downturn in the economy. In this 45 minute webinar, you will learn what has changed, and, as a result, what is working in marketing today. Don’t miss this opportunity to learn from marketing consultant Jennifer Beever. 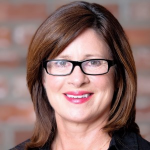 A frequent speaker on marketing and recently has presented to groups including Vistage, Renaissance Executive Forum, the SouthBay CEO Forum, ProVisors, Association for Strategic Planning, and the Institute of Management Consultants.